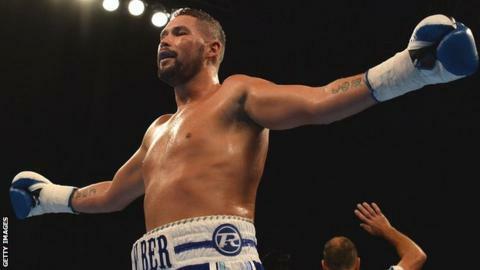 Boxing has a "major problem" with drugs, according to Liverpool's European cruiserweight champion Tony Bellew. Australian Lucas Browne tested positive for a fat-burning drug after beating Ruslan Chagaev for the WBA heavyweight title. "I think professional boxing has a major problem with drugs," said Bellew. "There are not lives at risk in a 100m race. There are in a boxing ring and that is why it is so alarming." Australian Browne, 36, has denied any wrongdoing and had said that he will clear his name. Bellew believes the greater risks in boxing should correspond to lengthier bans. "Steroids allow people to train much much harder and recover much much quicker," he added. "I suggest nothing less than a lifetime ban. It shouldn't take someone dying in the ring at the hands of a steroid-user for this to happen." Bellew is to fight Congo's Ilunga Makabu for the WBC cruiserweight world title this summer, with Goodison Park mentioned as a possible venue. Read more on this subject: "It was like fighting two people"